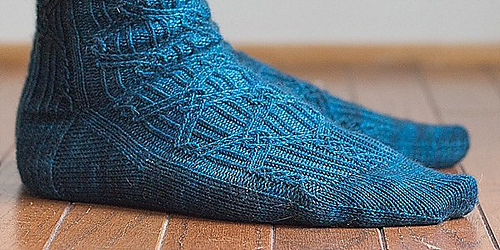 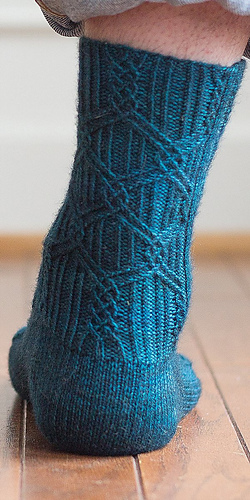 The cabling on these socks are reminiscent of the rose arbor in my aunt’s yard. 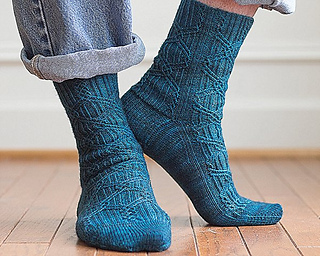 You probably don’t want try grow roses on these because, well, they’re socks. 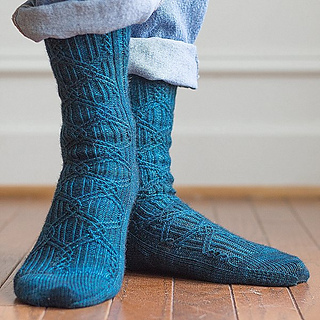 Three sizes are provided. 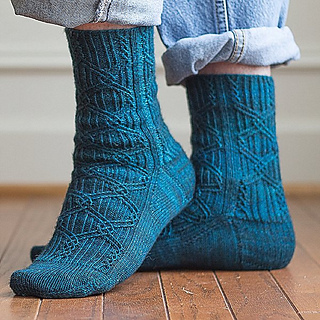 The pattern also provides optional instructions allowing you to adjust the leg and foot length while maintaining the cable motif.